Leading Manufacturer of eyewear economic showroom designing from Mumbai. The Monarch Enterprises was founded in 1998, is one of the leading Manufacturers of Optical Display Solutions in India. Our designs are functional & personalized and our core purpose is to provide unique Showroom design & Optical Display solutions through constant innovations. We specialize in OPTICAL SHOWROOM PROJECTS which include design as well as execution. We undertake turnkey projects from concept design to production. We have a proficient team which is expertise in Optical Retail Outlets. We provide designing of the showroom according to size, location, budget and time frame. Our main strength is providing quality products according to client requirement. We follow the latest trends and technology of the optical industry. We provide you the best technical expert opinion and after-sales service. We specialize in Economy Showroom Designing. Under Economy Showroom Designs we execute limited budget showrooms. It includes simple designing which covers basic requirements of an optical outlet. 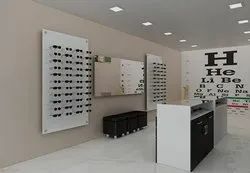 Looking for Optical Showroom Designing ?